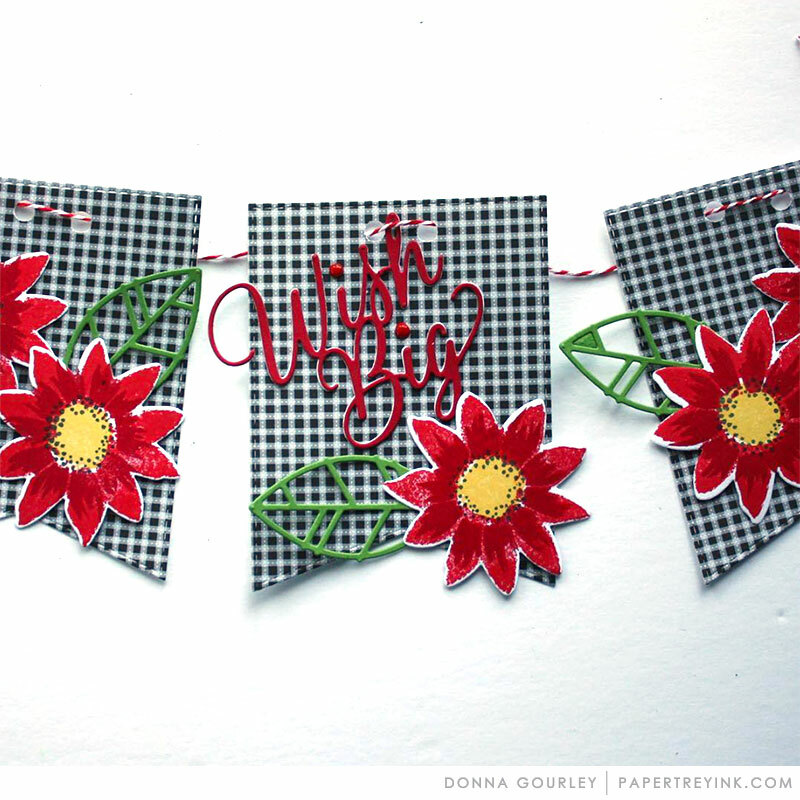 Join Michelle Leone as she shares inspiration in using your paper crafting supplies to create a fun banner for the upcoming holiday season. Create a project utilizing your take on the challenge. 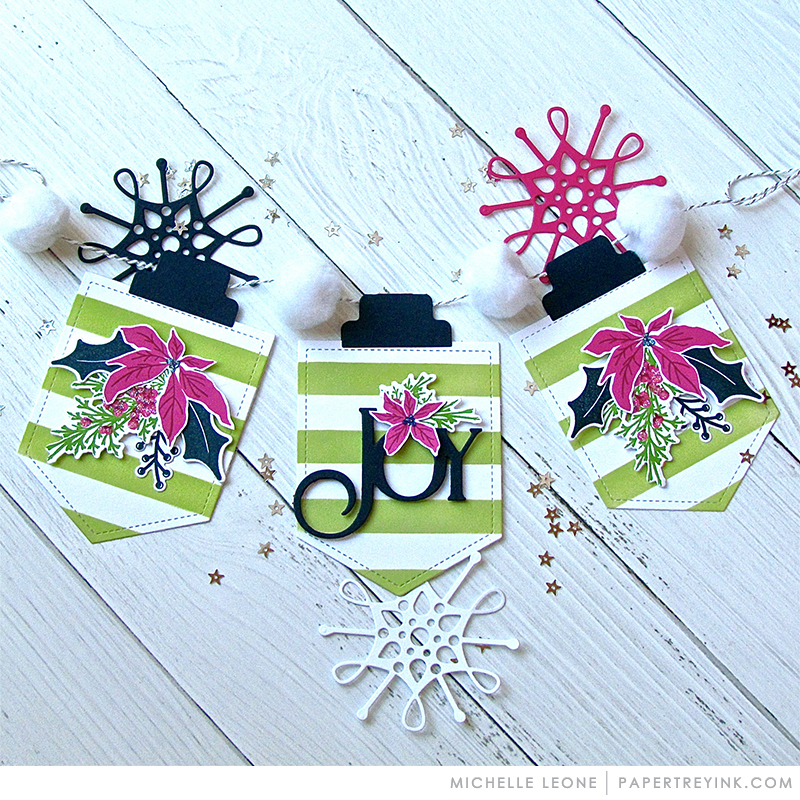 Your project must use at least one Papertrey product and incorporate a banner design like Michelle shared in the video. You will have until 6am ET, Monday, October 29th, to add your link to the list to be eligible to win. One randomly selected winner will be chosen from ALL the entries on Monday, October 29th, after 6am. The winner will be posted here on this blog post, on Twitter and Facebook. The randomly selected winner will get a $25 PTI gift certificate to spend however they like! I loved Michelle’s banner for the release (was it last month?) and think it makes the perfect project to re-create for MIM. Hope I can get time to try it. Such fun! Love the poms with your pretty poinsettia posies! Oh my goodness Michelle, there’s so many things I love about your projects today! First off , the color palatte… The dark indigo looks amazing with the raspberry fizz and scarlet jewel berries, poinsettias and greens. It’s also such a clever use of that file tab to create a hanger for your banner panels. pure genius and totally inspirational!! Can’t wait to whip one off for my cubicle at work! 🙂 Thank you for the inspiration!! Love all the elements you put together for this, just lovely!